Now, when it comes to building management, there is a tremendous amount of challenging things that you have to take into account. The truth is that without a proper system or some sort of software to track the process, you will quickly get lost with all of the specifications which need to be taken into proper account. This is why we are here to provide you with a comprehensive and reliable solution – our Building Services & Maintenance software – something which is going to help you out with your endeavours and it’s going to ensure that everything is handled as per the highest industry standards, hence saving you a lot of money and effort. Now, Malaysia is without a doubt one of the most interesting markets in the world. It is amongst the quickest ones in terms of development, and it’s definitely something that you need to take into account when it comes to it. This is why our Malaysia JMP Property Maintenance System is going to provide you with the things that you might need in order to ensure that everything is handled as per the highest industry standards. This is definitely a consideration that you need to take into proper account. Right off the bat, you will get unlimited database for your Tenant details. You can keep record of up to 30,000 different tenants, which is absolutely massive. This is going to help you out with a lot of different things. For once, it’s going to be a lot easier for your accountancy if you have a database that you can easily export. You can also generate recurring bills. 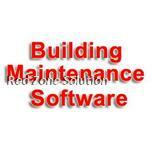 This is one of the best things that you can take advantage of when it comes to our BSM Software in Malaysia. Instead of having to go through the hassle of invoicing every single time, you can easily automate the process and forget about it. The system is also going to generate late pay interest to the tenants, and it’s going to send out reminders conveniently on its own. There is more! You can record the last readings for different bills and issue official receipts for the payments of the tenants. You can also give access to a lot of users – you can share this with your accountants if you don’t have an in-house accountant. In any case, the BSM Software in Malaysia that we have to offer is going to provide you with a tremendous amount of different advantages that you might want to take into proper consideration. This is without a doubt something particularly important, and you need to handle it. The management of your property or construction is something paramount if you want it to go perfectly well. This is why you might want to ensure that you get it as soon as you can and you can initiate the process.